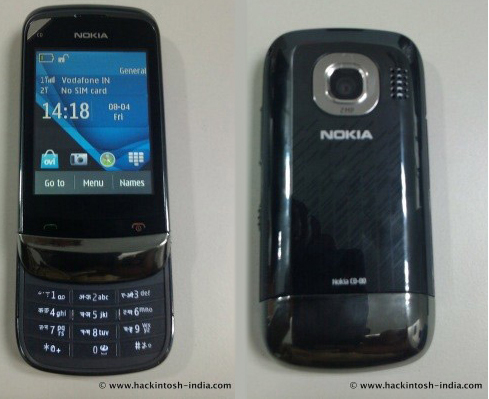 Photos of a Nokia slider phone have been doing the rounds, what looks to be the Nokia C2-06 Touch and Type phone, running Symbian Series 40 operating system. The slider phone in the below image definitely looks like it was meant for India, but for now, there is no word as to when it will launch or how much it will cost. The Nokia C2-06 is reportedly a dual SIM phone, packing a 2MP camera, a resistive QVGA touchscreen, a 3.5 mm audio jack, Bluetooth, and a microUSB port. No Wi-Fi or 3G connectivity is expected. Not much else is known at this time, but we'll keep you posted.